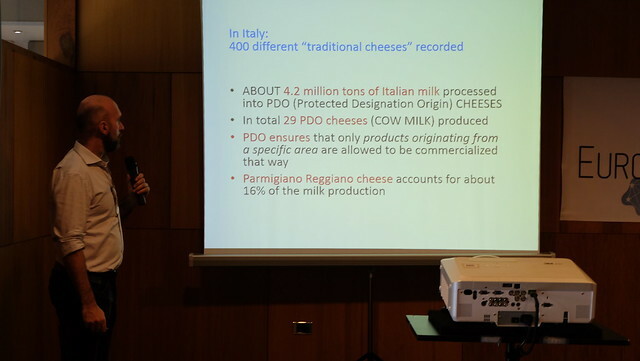 A workshop about dairy production approaches and the value of milk took place in Santiago de Compostela (Galicia-Spain). European dairy farmers and technicians discussed consumer trends in the market for milk, and the potential approaches to market differentiation. Options to retain or improve market share were discussed - by adding value to milk through care animal, increasing constituents for manufacturing milk, linking production with environmental objectives e.g. use of diverse pastures, traditional breeds, environment care and water footprint.